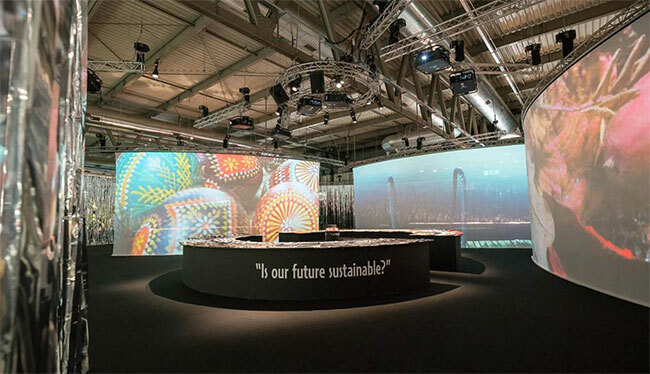 The question ‘Is our Future Sustainable?’ dominated the Sustainability Area, with a panel discussion introduced by Milano Unica President and Reda CEO Ercole Botto Poala. He stated boldly: “sustainability is a cost, it is not free of charge”. The signs would point to the fact the cost is worth it. Wool ticks most boxes in the requirements to underpin sustainability. Latest figures on exports of wool fabrics from Italy in 2018 are indeed bucking the overall export trend and are reported up by 2.8% in the first quarter of 2018. 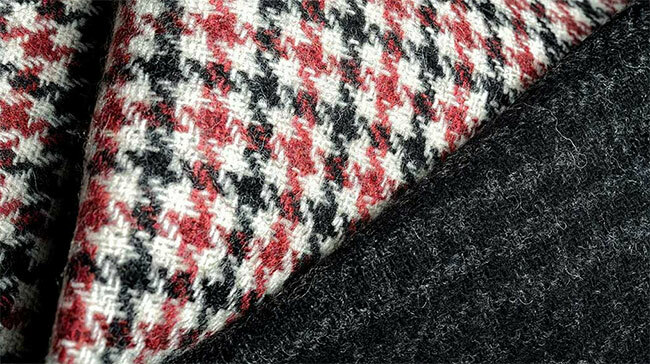 Milano Unica proved that wool has moved confidently into areas such sportswear and high-performance clothing, as well as dominating the high-quality suitings area and that the fibre’s intrinsic values are being recognised. The message is that the suit is changing, but simultaneously opening up opportunities for top fibres and fabrics such as Merino to enter other areas of design. ‘Zegna Man’ showed unlined wool suits, typically styled and accessorised with a baseball peaked cap and a pair of white tennis shoes. Suiting and jacketing classics come in many more colourful, individual styles, as in the new John Foster and Kynoch collections. The fact that a new generation looks at dress codes in a very different way has freed designers to weave classic fabrics with more quirky and exaggerated features. 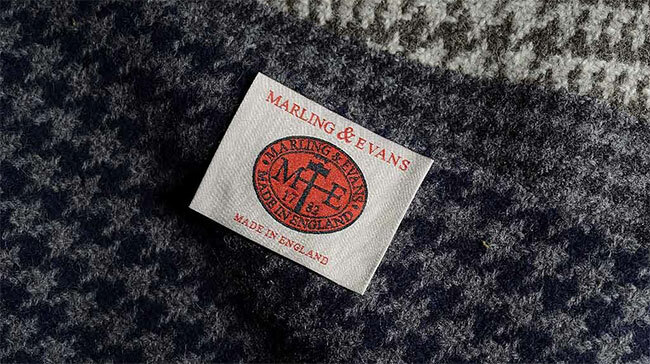 Massimo Angelico of Marling & Evans talked specifically of the increasing potential of Merino wool, showing his unusual printed wool jacketings and the development of coating fabrics with outerwear ambitions in 100% Merino wool. “People want technical wool for every season now and it is a very positive scenario, despite price rises,” he said. Flatter fabrics in coarser wools in various colours were used for outerwear, blousons and coats, such as a loden-green unlined green trench coat at Abraham Moon, while heavier weights including a 6-ply twist weave returns at Barberis Canonico. Wool was at the heart of the collections: super matt double-face crepe, 160s wool for very light flannel, satin finish wool/stretch silk, and flat wool weaves with super elastic texture. The trend area featured soft airy weaves with coloured knops, ribs, brushed effects and natural fibres teamed with shiny synthetics. The brown spectrum dominated trends, from pale to rich nut colours. Blue is found in subtler, airforce blue tones. Checks and 3D construction give depth and a sense of warmth, for example a wool/silk boucl? from eco-savvy Botto Giuseppe. Fox Brothers’ colourful and country-based wool flannels were marked out by a stylish richness of tone, 3D effects achieved with texture, colour and contrasting yarns. At Vitale Barberis Canonico, sustainability was elegantly symbolised by an installation featuring fabrics on stylised trees, centred on a real trunk, to indicate that values were at the root of their operations. “We use a sustainable and renewable raw material, wool, that is also natural and organic and our policy demonstrates a particular sensitivity and culture aimed at excellence overall,” said Vitale Barberis Canonico CEO Alessandro Barberis Canonico.